The Lotus Exige Matte Black Final Edition debuted at the Pebble Beach Concours d'Elegance and wowed the crowd. British automakers Lotus debuted their Matte Black Exige Final Edition yesterday at the Pebble Beach Concours d&apos;Elegance. The Final Edition Exige comes completely blacked-out and looks terrific. 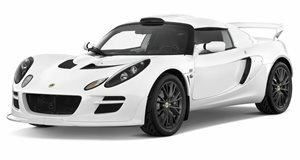 This new North American-exclusive edition is limited to a production run of 25 and follows in the footsteps of the Exige Stealth made exclusively for Japan and the Exige Scura which was limited to Europe.